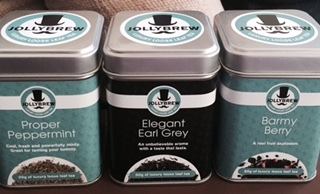 I recently won a lovely selection of teas from JollyBrew. The packaging is stylish and contemporary and the tea leaves look great. 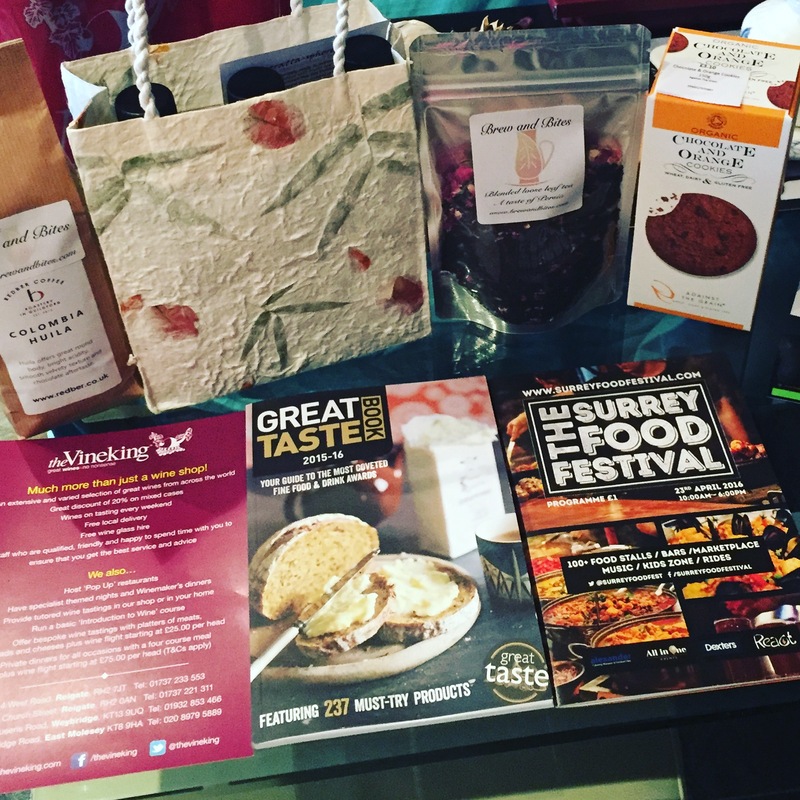 They smell absolutely delicious, too, so I have been looking forward to savouring and trying each one, reviewing them individually. 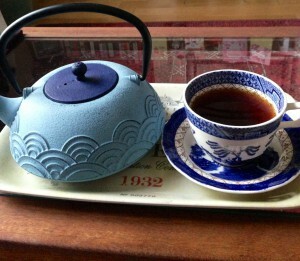 On a Sunday afternoon, you can never go wrong with a nice pot of Earl Grey. 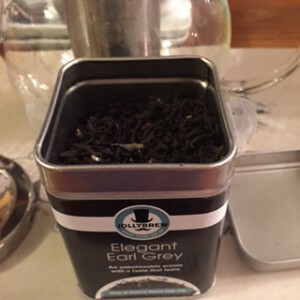 The very appropriately titled “Elegant Earl Grey” from JollyBrew is a beautifully scented blend of black tea leaves, bergamot and cornflowers. The little blue cornflowers glinted invitingly at me as I opened up the tin and had a good sniff of the revitalising scent. I made up a pot in one of my favourite modern teapots, my medium sized glass teapot from La Cafetière. 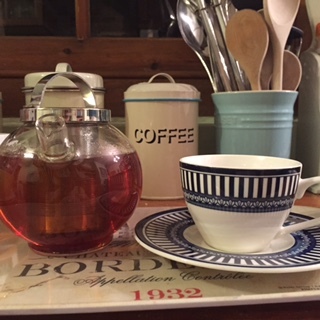 I thought it was only right to serve this most refined of teas in a suitably elegant china teacup and saucer, rather than my usual cosy mugs, so I pulled out my pretty blue and white striped cup and saucer that was a Christmas gift from The Secret Tea Society in 2013. I was delighted with the tea. It’s refreshing either with or without milk, with a clear, crisp taste. The scent was uplifting and just what I needed to pick me up in the afternoon. 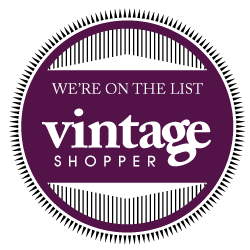 Regular readers of my blog will know that I particularly enjoy a good Earl Grey, and love trying new blends and brands. This delicious tea from JollyBrew is highly recommended and gets a big thumbs up from me! Next, I will be tasting the Proper Peppermint – the perfect post-dinner pick me up! 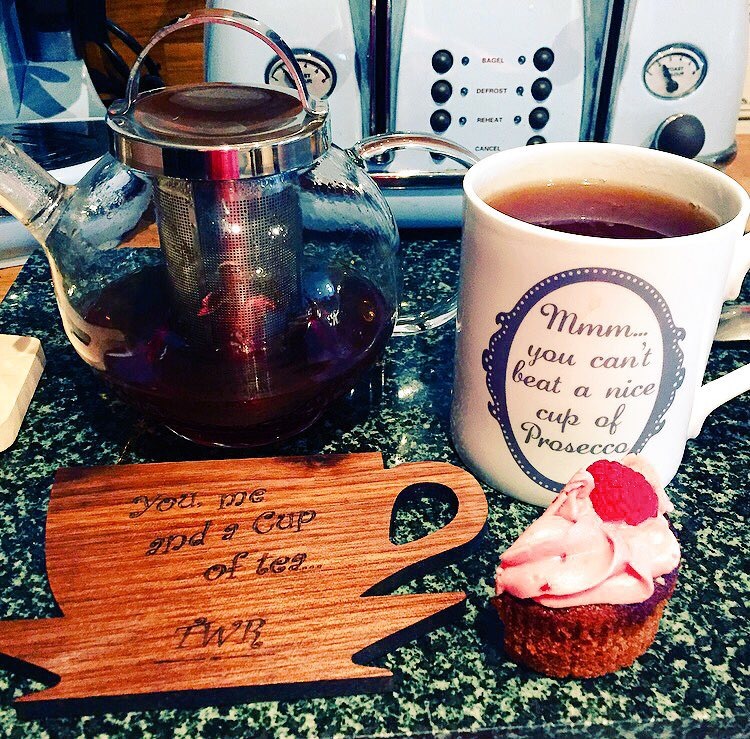 Until next time – enjoy your afternoon tea break! More tea? Don’t mind if I do! 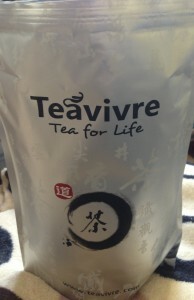 A lazy sunday afternoon meant it was time to try more of the tasty teas from my friends at Teavivre! 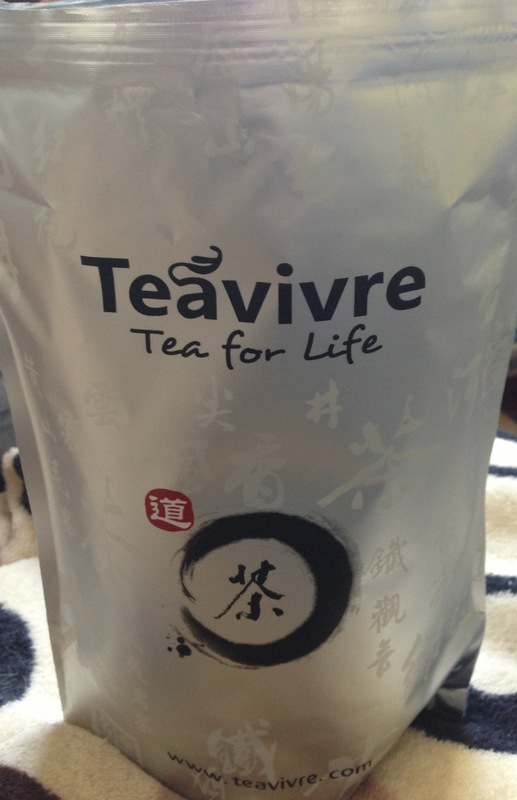 I chose a lovely strong black tea for my post-lunch brew, Teavivre’s Bailin Gongfu Black Tea. A lunch of a hearty chicken sandwich and caramel cake bar called for a nice, malty cup of tea, and this pot of tea was just right for my relaxing afternoon cuppa. A rich, earthy smell wafted as I brewed up a steaming pot in one of my favourite colourful teapots, and the tea has a soft, almost caramelised aftertaste. 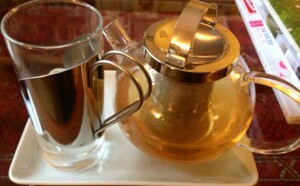 As my evening cup of tea, I brewed up a little pot of Teavivre’s delightful Superfine Jasmine Downy Pearls Green Tea. 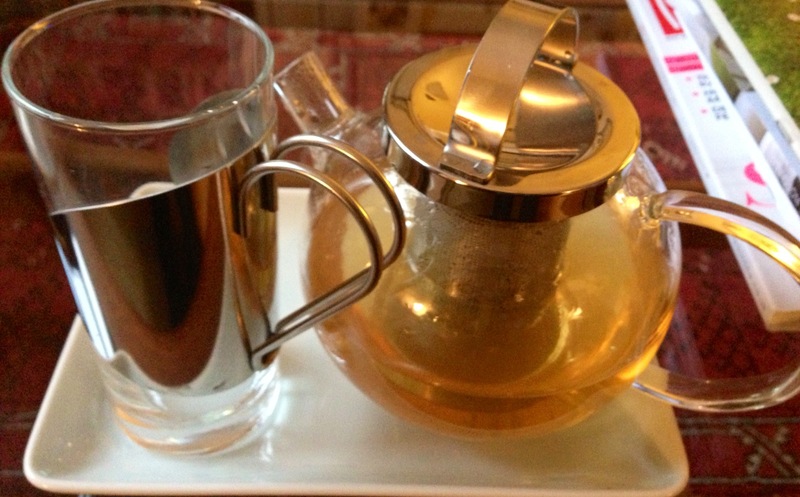 Jasmine Green Pearls tea is a firm favourite of a number of my fellow Secret Tea Society members, this is a truly relaxing and refreshing tea, with a lovely golden colour. I just had to show it off in my little glass teapot! 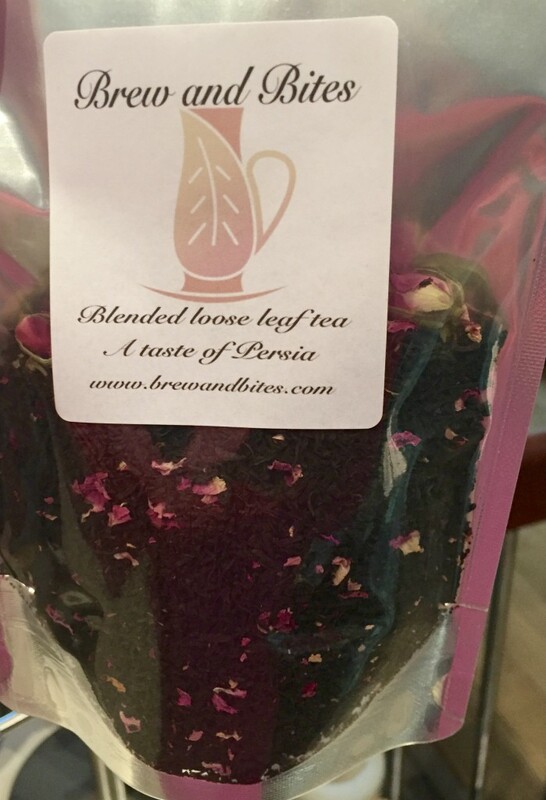 On the subject of Jasmine Pearls tea, I recommend a rather naughty little poem – another favourite of the lovely ladies of the Secret Tea Society – by Britain’s Tea Poet, Elizabeth Darcy Jones, which can be found in her book, Distinguished Leaves. On that literary and inspiring note, I will leave you to enjoy a nice cup of tea, too. A good evening to one and all! The lovely people at Teavivre recently sent me a fantastic selection of top quality China teas, so I have been eager to try them all. 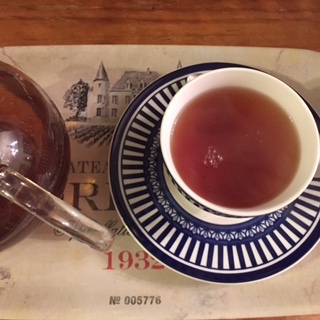 Today I was in the mood for a nice, strong black tea, so I put the blue teapot and one of the lovely teacups and saucers I received as Christmas gifts to good use and brewed up some Superfine Tan Yang Gong Fu Black Tea. This delicious, earthy black tea is made up of pure tea buds and tea leaves, making it hearty and full of flavour. At weekends, I usually have several cups of black tea in the morning and early afternoon, then change to something a bit lighter in the late afternoon and evening, so this was the perfect post-lunch brew. I tried it both with and without milk, and both were crisp and refreshing. Next, I plan to try their green and Oolong teas, then their other blends of black tea. 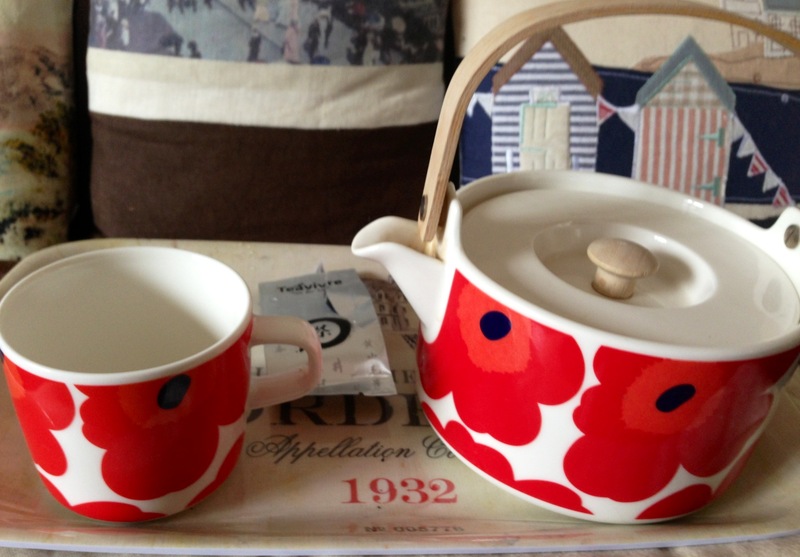 I love a bit of variety and am looking forward to the opportunity to use all my new teapots and steepers!